Measure Twice, Accept Once (Part 3) | Quality House Ltd.
After you have made sure that your requirements are present, clear and complete, the next step is to start writing the acceptance test cases. There are several approaches to do so, and what is advisable is to you a mix of them. The approaches that you should definitely take into account are the test cases that are requirements – based (traditional approach), business process/ workflow and data – driven approach. Why We Advise You to Use More Than Just One Approach? Because if you use only the traditional requirements – based approach, then the test cases you create may also carry over the defects of the requirements. In addition to that when incomplete and incorrect requirements are present, then your test cases are incomplete and incorrect. The downside of the business process/ workflow test cases is that the data related testing is out of its scope. And, then the data – driven ones focus heavily on the data and miss out the process and the business side. Never also forget that writing the acceptance test cases is not the last step of the system development. Writing them shall start right after the completion and approval of the requirements, data models and application models. And before the development is completed. More specifically, it is very important to clearly identify and set SMART boundaries of the roles, the type of testing to be executed – in person or self – paced, the time frames (as you are aware time is never enough to perform a thorough testing), to set the documentation standards and determine the change control process. The roles are similar to the one in the Scrum team – you should have an Owner/ PM who will manage the process and take the final decisions within the team. The Owner will also update the project sponsor on the status. Then, the Project sponsor or Business Owner comes. S/ he will take care of the requirements and will assist the Owner/ PM when testing them. That person will also be solely responsible for the Change Control process. The team resources will actually do the acceptance testing. 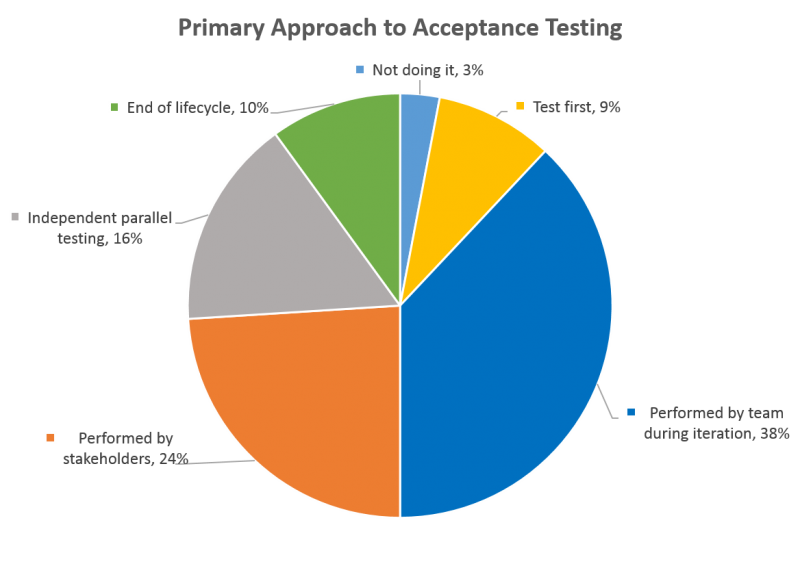 What are the main reasons that the Acceptance testing phase often fails? The next article is expected in the end of January.